It may not be a better mousetrap, but there's a feeling that at least some people will be beating a path to the new marijuana vending machines that open today in California. The first of their kind in the U.S.A--one speculates the world--the machines will dispense medicinal marijuana for patients who are prescribed marijuana for health reasons. Patients have to jump through a few hoops before they can use the machines: they have to present a prescription, be photographed and be fingerprinted and then they are issued a pre-paid credit card that stores the dosage and type of drug prescribed. No, the machines can't be used by the paperboy down the street to get ready for a "party hard" weekend--unless the paperboy has been prescribed the drug for health reasons. At present, eleven states allow the medicinal use of marijuana, primarily for pain relief, but, in the land of the drug crusaders, it remains controversial. Although, one wonders why giving relief to, in some cases, terminally ill patients would cause anyone but drug warriors any cause for concern. 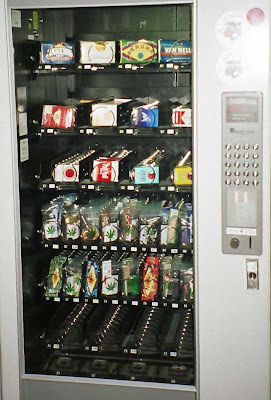 America is the land of consumer satisfaction and fast food--so it makes sense that it is also the land of the marijuana vending machine. "They'll be greeted by a security guard right there. They'll slide the card in and they'll fingerprint in to verify that it's them," Mehdizadeh was quoted as saying. At least some of the operators think that the machines might become a common sight in across the U.S.A. 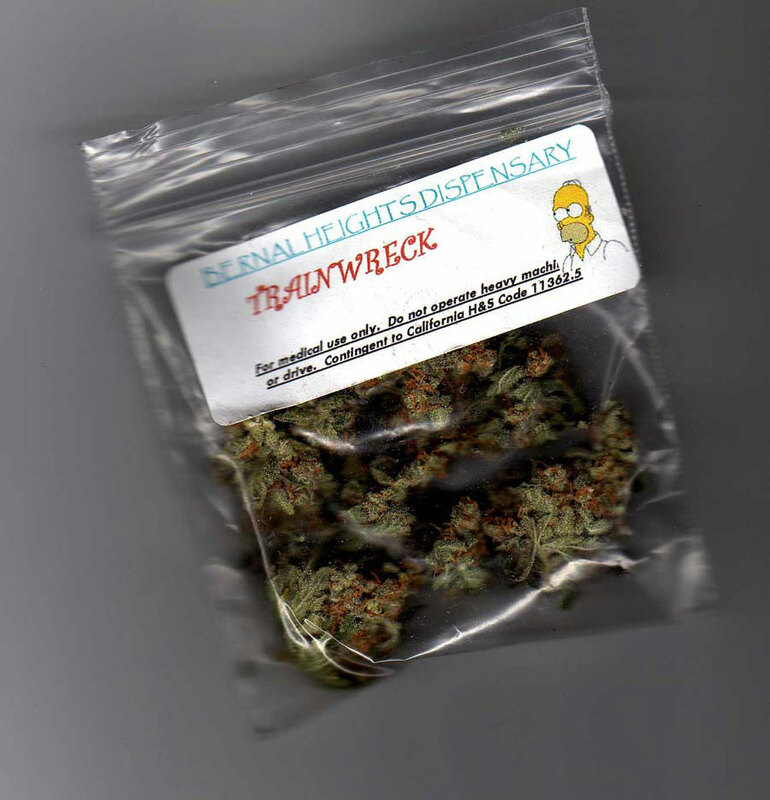 Proponents say marijauna is a valuable tool for relieving pain and stimulating appetite in the sick. What we're wondering is will the operators take the next logical step? And dispense Oreos and Gummy Bears along with the pot. * Marijuana Vending Machines in U.S.